a friend of mine shared with me today, that i haven't blogged in a while and he wondered if i was okay. well...i'm okay! i've been donating a lot of work lately and i've basically been caught up in that (and life without a husband around). and it all takes time. i love it but yes...it does takes time. and that's what i've been doing lately. it feeds my soul, but i do know that i have to be careful. can one give too much? i don't think so but, i really do have to be careful because i can get so caught up in the giving, i won't have time for my own family. so, in the end...as usual, it's all about balance. 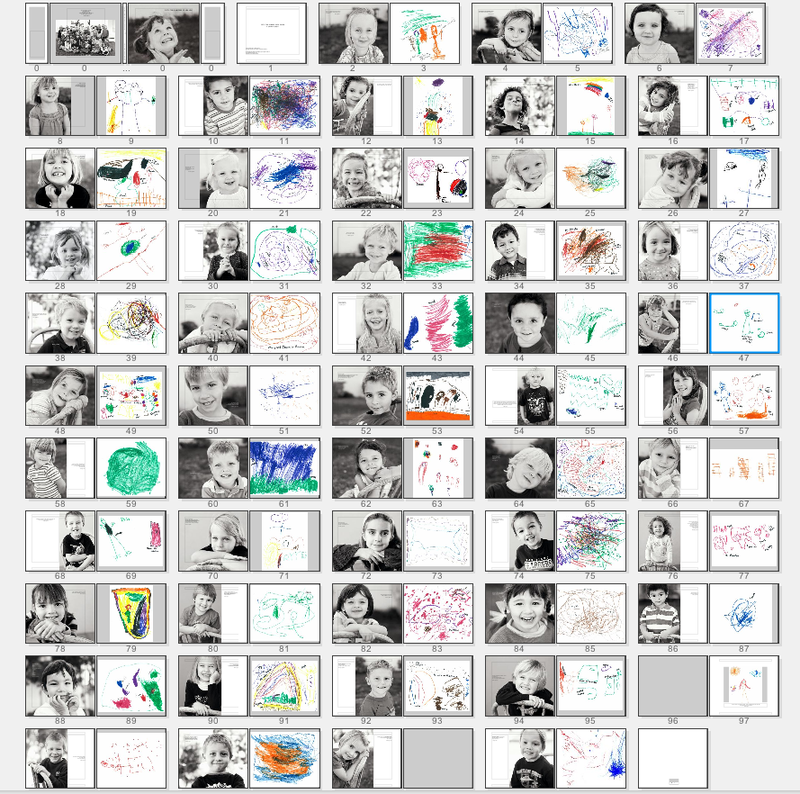 above are a few of the quotes from the book and below is a screen capture of the preschool book that i'm working on (although not quite finished yet; i'm missing a few things still), which will be auctioned off at the school auction (FIFTY-TWO GLIMPSES OF HEAVEN | a preschool project). i did portraits of all 52 preschool kids and then had each of them draw a picture of Heaven and describe their picture. their pictures and words are truly priceless. don't ever forget to give when you can. it feels so good.